As I look back on the highlights for 2016, books and their authors catalyzed many of my most memorable experiences. 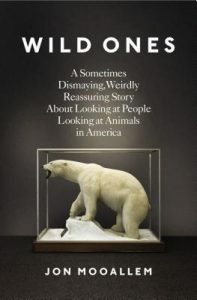 I am an avid reader of books about wildlife, conservation and the environment. 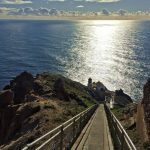 So, it is no surprise that I found myself following in the footsteps of writers who illuminate the unique beauty of the natural world and efforts to protect it. As an art form, books and other literature, including the images and illustrations they hold, have the power to inspire our actions and connect us. In the earliest days of our first national parks, a constituency grew to support and protect our natural heritage because of the mobilizing influences of photography and the written word. One of my first discoveries in the new year came in February of 2016 when I went to visit the home of the endangered Lange’s metalmark butterfly, whose only place of residence on earth is in the Antioch Dunes National Wildlife Refuge. You can explore the dunes and the habitat of this nearly extinct butterfly during docent-led tours on the second Saturday of every month from 10 a.m. – 11 a.m. Go soon. During my visit, I learned that the 2015 Lange’s metalmark butterfly survey found 38 of these critically endangered butterflies left in the wild. What prompted me to visit Antioch Dunes? Read Wild Ones by Jon Moollem. Also in February, my husband and I headed east through the maze of wetlands of the California Delta. We visited the little known Locke Historic District on our way to see majestic sandhill cranes at one of their winter homes on the Pacific Flyway. 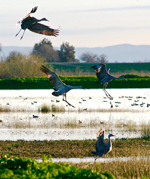 Like Antioch Dunes, you can see the sandhill cranes by attending a docent-led tour led by Department of Fish & Wildlife volunteers at the Woodbridge Ecological Reserve near Lodi, California. For this one, you need to actually sign up ahead of time because the tours do book up. What inspired this adventure? Peter Matthiessen, an American novelist, naturalist, and wilderness writer who died in 2014, wrote a book titled The Birds of Heaven: Travel with Cranes. This book, along with Bay Nature magazine articles about the sandhill cranes in California’s Bay Delta region, inspired my discovery of this beautiful ancient bird. 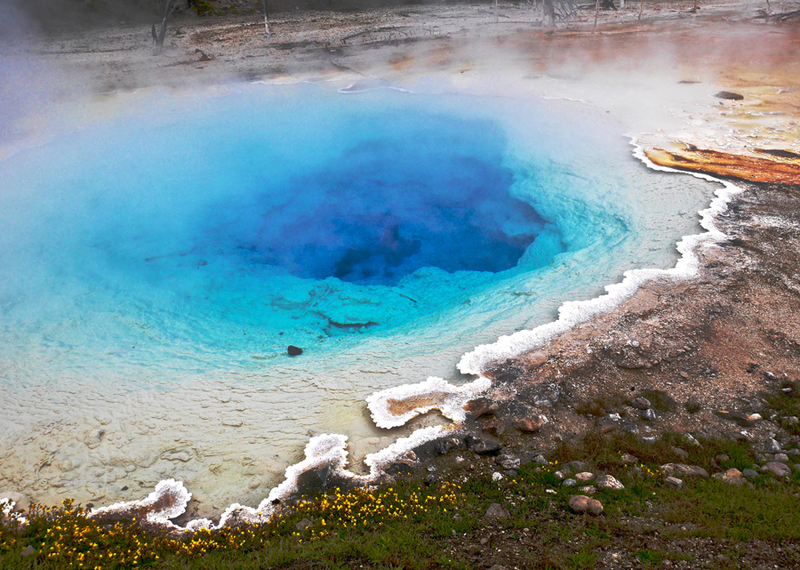 In May we made our first trip to Yellowstone National Park, where we roamed through a world of geysers (pictured above), grizzly bears, wolves, bison, pronghorn antelope and moose. For many years I have longed to visit Yellowstone, the place that began a worldwide national park movement with its establishment in 1872. 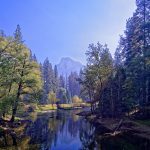 In 2016, people around the country, celebrated the creation of the National Park Service, which came into being when the Organic Act became law 100 years ago on August 25, 1916. 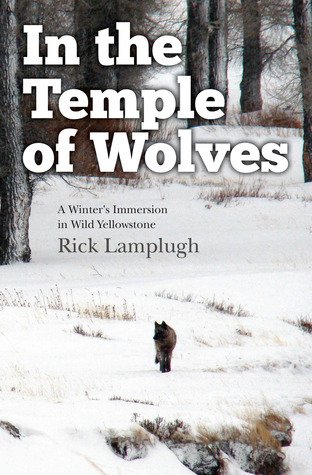 Our visit was partially inspired by the National Park Service Centennial celebrations, but what really motivated me to visit was the book In the Temple of Wolves by Rick Lamplugh who writes about his winter experience as a volunteer with the Yellowstone Association Institute (now Yellowstone Forever Institute after a merger with the Yellowstone Park Foundation). I discovered In the Temple of Wolves while reading Carl Safina’s Beyond Words: What Animals Think and Feel, which includes several chapters on wolves and stories about a famous Yellowstone wolf biologist named Rick McIntyre. 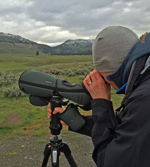 During our springtime visit, we spent a few days in wildlife-rich Lamar Valley, following the Yellowstone wolf watchers, and catching our first views of the wolf packs whose stories I got to know by reading Lamplugh’s book about their remarkable recovery. 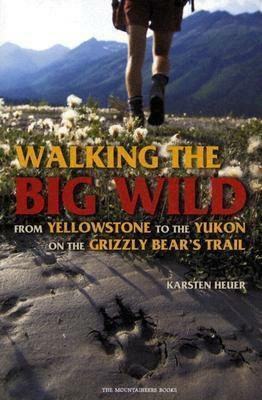 In follow up to my reading on wolves in Yellowstone, I read Walking the Big Wild from Yellowstone to the Yukon on the Grizzly Bear’s Trail by Karsten Heuer. This book is over a decade old now, but it shows how a powerful idea — uniting agencies, nonprofit partners and communities to protect wildlife corridors for grizzly bears and other wildlife — came to fruition. 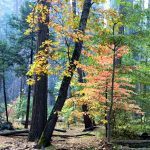 As someone who loves wilderness backpacking and long distance hiking, I particularly enjoyed the intimate view of this landscape while following Heuer’s harrowing cross-country adventure. More than 10 years later, the Yellowstone to Yukon Conservation Initiative (Y2Y), a joint Canada-U.S. nonprofit, is alive and well and serves as one of the best examples of connecting and protecting habitat through a scientific and collaborative approach to conservation. 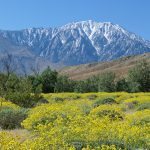 They have worked with more than 300 partners, including scientists, conservation groups, landowners, businesses, government agencies and First Nations and Native American communities to patch together this landscape. Many of these peaks and features took on new meaning for me on my hike of the John Muir Trail this past August. 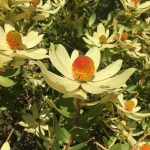 In October I was also thrilled to hear Wulf present her book in person at a talk for the University of California Botanical Garden in Berkeley. Many of my friends and colleagues who work in the social and environmental sectors are searching for hope in a time when we need to brace for new challenges that lie ahead. Learning about conservation success stories and their heroes offers a much needed antidote. 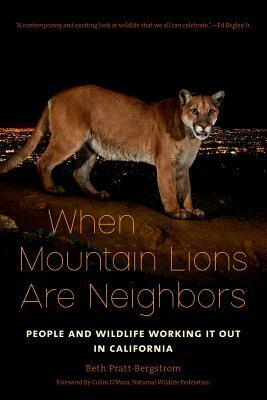 In November I attended one of Beth Pratt-Bergstrom’s author talks here in the Bay Area about her new book, When Mountain Lions Are Neighbors: People and Wildlife Working It Out in California. Also in attendance was a posse of the conservation heroes featured in her success stories. 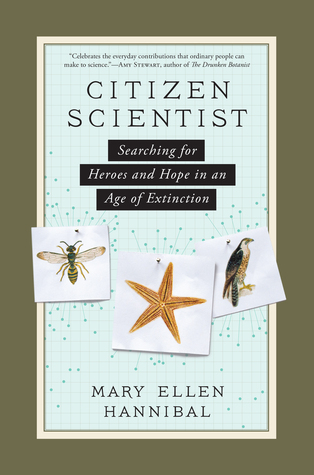 The serendipitous gathering that followed Beth Pratt-Bergstrom’s talk led me to Citizen Scientist: Searching for Heroes and Hope in an Age of Extinction, Mary Ellen Hannibal’s latest book. I am still immersed in this 400-pager, but it has already taken its effect on me. I have been pursuing citizen science for the last four years as a volunteer for the Bay Area Puma Project, but I was ready to branch out, literally. 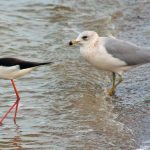 On December 18 I participated in my first-ever Audubon Christmas Bird Count, one of the nation’s longest running citizen science projects. I hope 2017 brings you many opportunities to explore and find inspiration from the beauty of the natural world and its protectors. Books plus nature — what could be better? 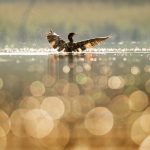 Both about the story of life…. Mary Ellen – Thanks for all the hard work that you do to bring together stories about culture and the environment. 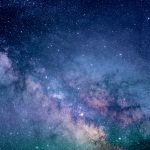 Wonderful list of books and inspired adventures. 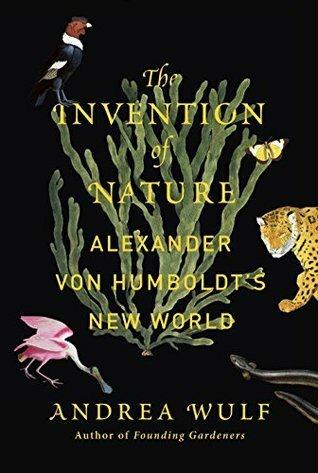 I’m going to get the book on Humboldt, he sounds like an amazing guy and a fearless explorer. I started reading a book on the snow goose migration by William Fiennes and it’s fascinating to learn about migration patterns and bird behaviors. There’s a big trend in the UK of nature books on rediscovering humble places/habitats such as hedges, ditches, riversides or sheep countryside. Have you read Helen MacDonald’s H is for Hawk? It’s been a big success in the UK. Thanks for the literary inspiration!